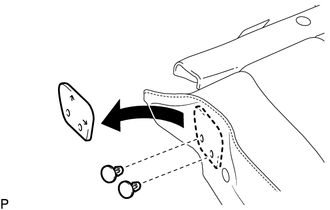 (a) Remove the seat adjuster cover cap. 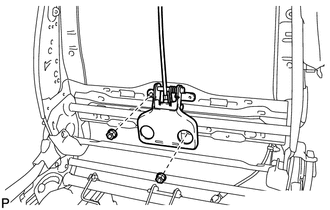 (a) Using a moulding remover, disengage the 4 claws to remove the reclining power seat switch knob. 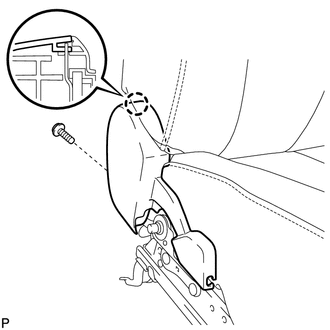 (a) Using a moulding remover, disengage the 2 claws as shown in the illustration. 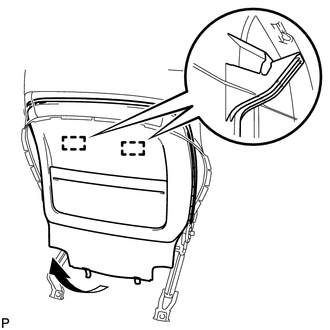 (b) Using a moulding remover, disengage the 2 claws to remove the slide and vertical power seat switch knob as shown in the illustration. 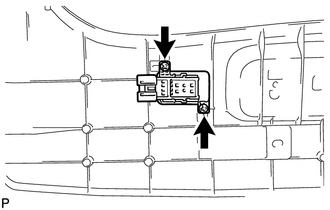 (a) Disengage the 2 hooks. (b) Remove the 5 screws. 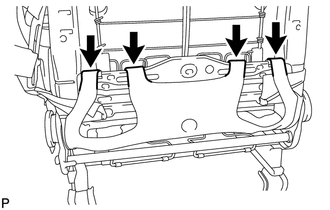 (d) Disengage the guide and remove the front seat cushion shield assembly. 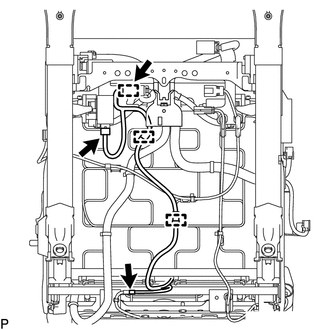 (e) Disconnect the connector from the front power seat lumbar switch. 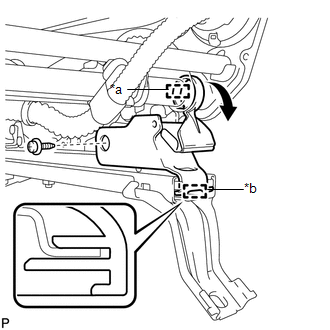 (b) Disengage the 2 claws to remove the front inner No. 1 seat cushion shield from the front seat cushion shield. 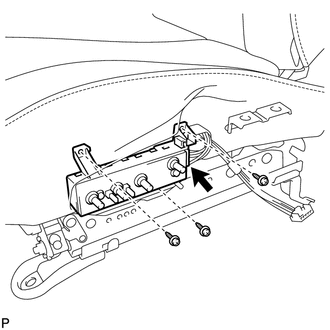 (a) Remove the 2 screws and front power seat lumbar switch. 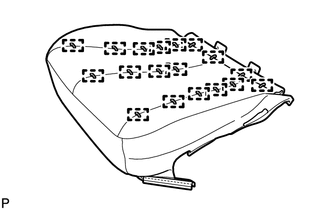 (a) Remove the 3 screws. 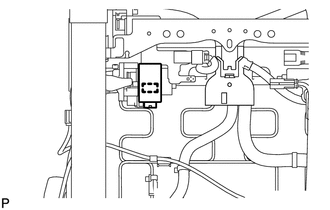 (b) Disconnect the connector to remove the power seat switch. 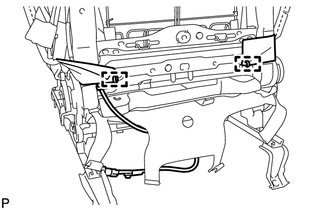 (c) Disconnect the 2 connectors to remove the position control ECU and switch assembly. 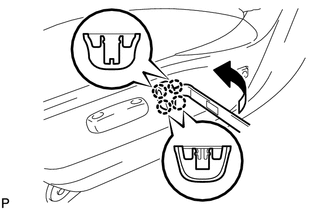 (c) Disengage the guide to remove the front inner seat cushion shield as shown in the illustration. 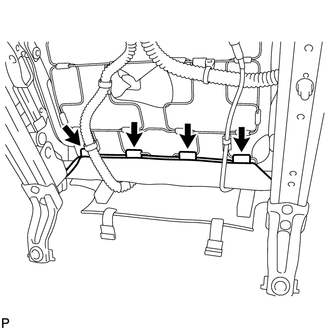 (a) Remove the 2 front seat cushion protectors. (a) Disengage the 4 hooks. 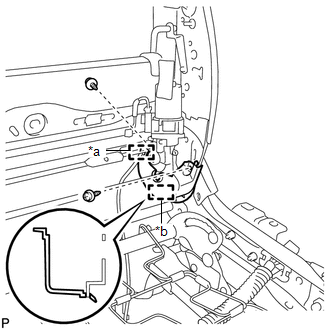 (d) Using a clip remover, remove the 2 clips. 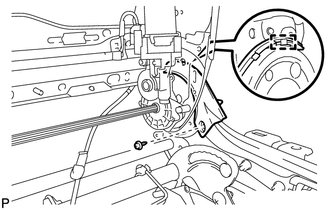 (e) Disengage each hook as shown in the illustration. 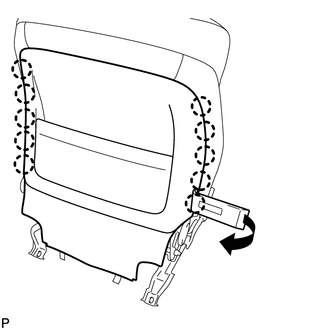 (f) Remove the separate type front seat cushion cover with pad as shown in the illustration. 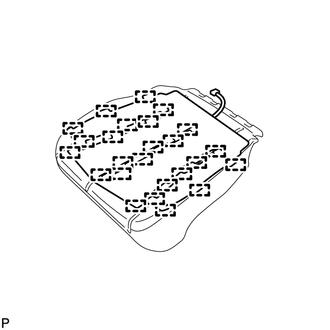 (a) Remove the 18 hog rings and separate type front seat cushion cover from the separate type front seat cushion pad. 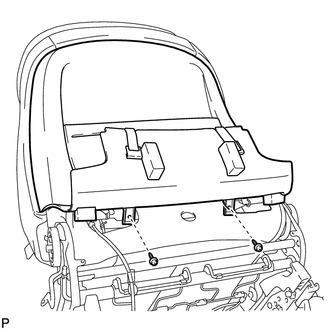 (a) Remove the 2 clips and front seat cushion protector from the separate type front seat cushion cover. 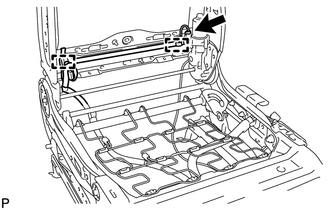 (a) Cut off the 25 tack pins that fasten the front seat cushion heater assembly, and then remove the front seat cushion heater assembly from the separate type front seat cushion cover. 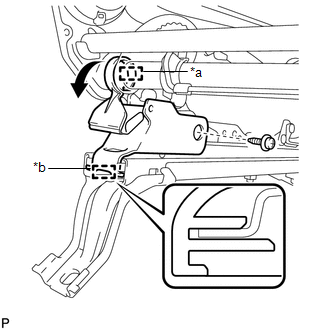 (b) Using a moulding remover, disengage the 10 claws as shown in the illustration. 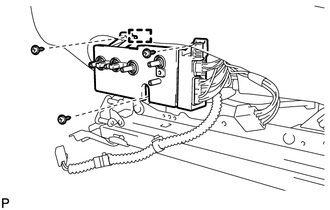 (c) Using a moulding remover, disengage the 4 claws as shown in the illustration. 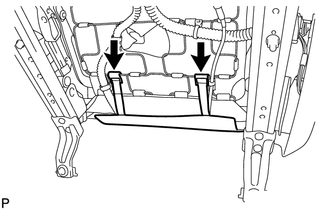 (d) Disengage the 2 guides to remove the front seatback board sub-assembly as shown in the illustration. 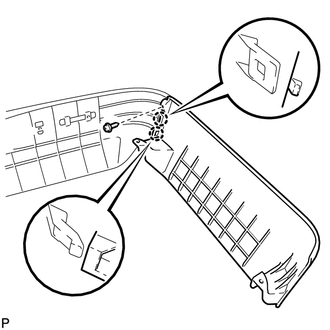 (a) Turn back the separate type front seatback cover with pad to remove the nut and guide, and separate the bracket of the front seatback cover with pad. (b) Disengage the 4 hooks. (c) Remove the 2 hog rings. (d) Remove the 2 hog rings. 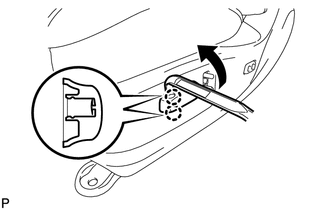 (e) Disengage the 4 claws and remove the 2 front seat headrest supports. 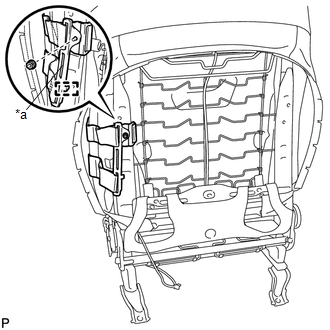 (f) Remove the separate type front seatback cover with pad from the front seat frame assembly with adjuster. 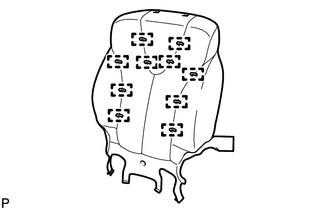 (a) Remove the 10 hog rings and separate type front seatback cover from the separate type front seatback pad. 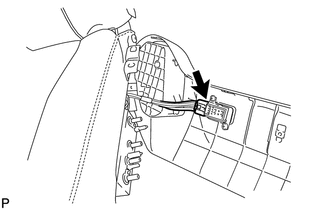 (a) Cut off the 12 tack pins that fasten the front seatback heater assembly, and then remove the front seatback heater assembly from the separate type front seatback cover. 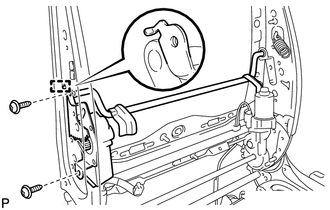 (a) Disengage the 10 guides and clamp to remove the front seatback spring sub-assembly. 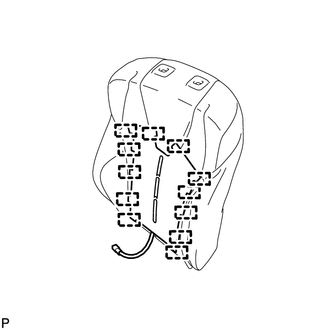 (c) Remove the 2 screws. 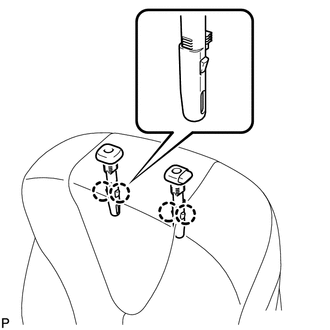 (d) Disengage the guide to remove the lumbar support adjuster assembly. 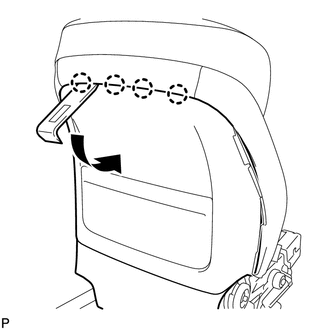 (a) Remove the nut and disconnect the cable from the upper active headrest unit. 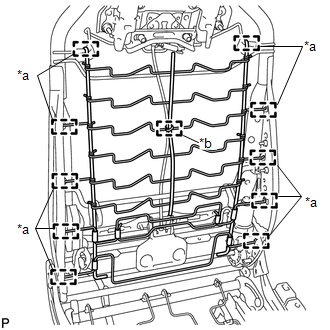 (b) Remove the 4 nuts and upper active headrest unit. 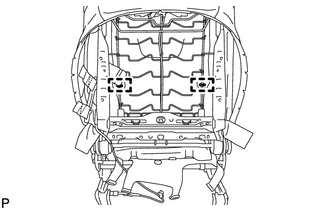 (a) Remove the 2 nuts and lower active headrest unit. 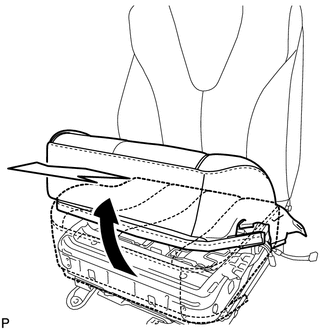 (c) Disengage the guide to remove the seat reclining adjuster inside cover LH. 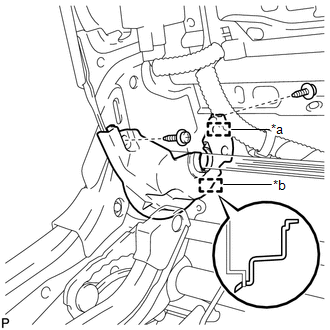 (b) Disengage the guide to remove the reclining adjuster inside cover LH. 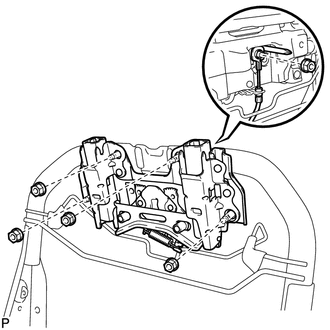 (c) Disengage the guide to remove the seat reclining adjuster inside cover RH. 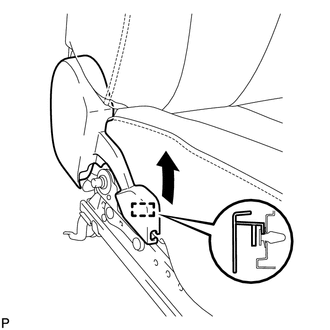 (b) Disengage the guide to remove the reclining adjuster inside cover RH. 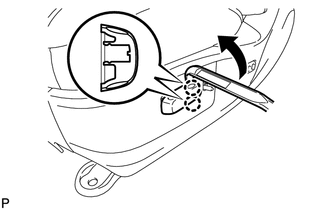 (b) Disengage the hook as shown in the illustration. 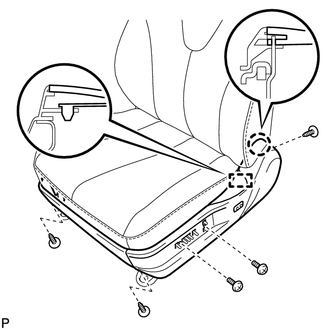 (c) Disengage the guide to remove the front seat lower cushion shield LH. 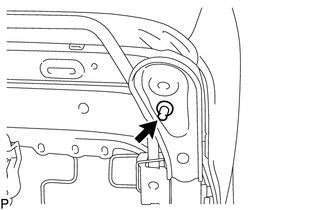 (c) Disengage the guide to remove the front seat lower cushion shield RH. 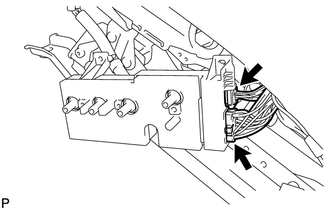 (a) Disengage the 2 clamps. 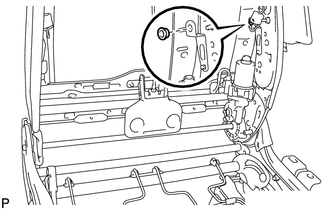 (1) Disengage the 3 clamps. 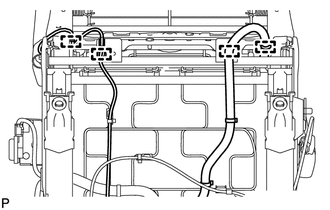 (2) Disconnect the 3 connectors. (d) Disengage the 2 claws. 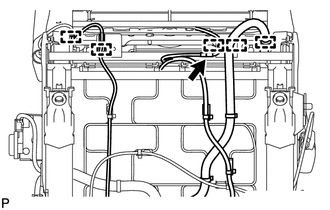 (e) Disengage the 5 clamps. 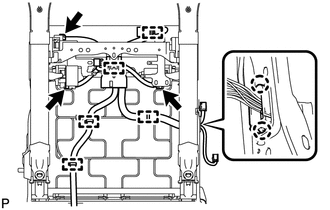 (f) Disconnect the 3 connectors and remove the front seat wire. 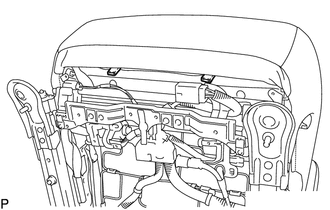 (a) Disengage the clamp to remove the seat heater control sub-assembly. 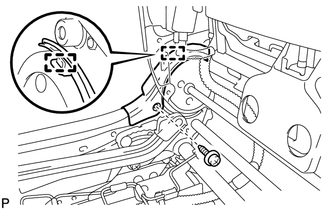 (a) Disengage each clamp and remove the front seat wire RH.